NASHVILLE, Tenn., May 2, 2018 – Habitat for Humanity is celebrating the closing of its second annual Home is the Key campaign with a special key dedication ceremony and ribbon cutting with two families in Nashville. 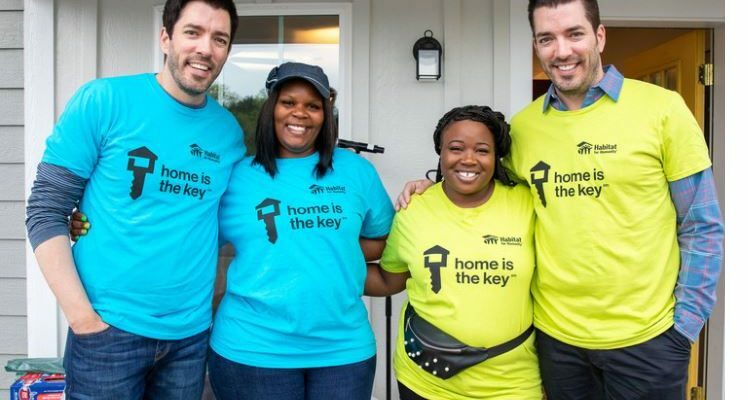 Habitat Humanitarians Drew and Jonathan Scott, world-renowned entrepreneurs and real estate and construction experts, helped close out the campaign with a call to support greater affordable housing in the United States. Drew and Jonathan Scott with future Habitat homeowners Amanda and Ashlee at the front door of Amanda’s new home in Nashville today. The Scott brothers helped Amanda and Ashlee build their new homes as part of Habitat for Humanity’s national Home is the Key campaign. Featured on the TODAY Show, Home is the Key brought together sponsors, celebrities and community leaders to build homes, raise funds, and speak out about the need for affordable housing. Habitat for Humanity also joined with country music recording artists RaeLynn and Eric Paslay to help share the Home is the Key message nationwide and to celebrate the newest Habitat homeowners with special performances at the key dedication ceremony. Over the last 40 years, Habitat for Humanity has helped more than 13 million people obtain a safe, decent and affordable home in the U.S. and around the world. But a significant challenge to home ownership remains. According to a survey of more than 1,000 Americans conducted by Habitat, one in four of those surveyed said the cost of housing will prevent them from continuing to live in their current neighborhoods. Approximately 30 percent said they had to compromise on either the neighborhood they want to live in or the size or type of home they want to purchase to be able to afford a home that meets their families’ needs. The survey also found that 84 percent of Americans believe there is an extreme shortage of affordable housing in the country and that the issue is critical for the government to address. At Home Stores: Returning for its second year as a Home is the Key sponsor, the home décor superstore will donate to Habitat $25 from every sale of a specialty patio umbrella and 100 percent of the sales of specially branded Habitat for Humanity coasters through the end of April. Nissan: Also in its second year as a Home is the Key sponsor, Nissan will donate $1 to Habitat for every time #HomeIsTheKey is shared on social media in April, up to $250,000. Nissan and Habitat have partnered together for over a decade and have helped families all over the world build and own their home. O-Cedar: Marking its inaugural sponsorship, from April 1 to June 15, the home cleaning product company will donate $1 to Habitat for every ProMist® Max Microfiber Spray Mop sold by O-Cedar to any U.S. retails channel, up to $200,000. Launched in 2017, Habitat’s Home is the Key campaign aims to demonstrate how a decent, affordable home creates a better life for families and individuals. 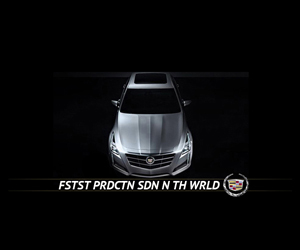 The campaign recently won two PR News CSR & Nonprofit Awards and was named as a finalist for Engage for Good’s Halo Awards and Ragan’s PR Daily Awards.